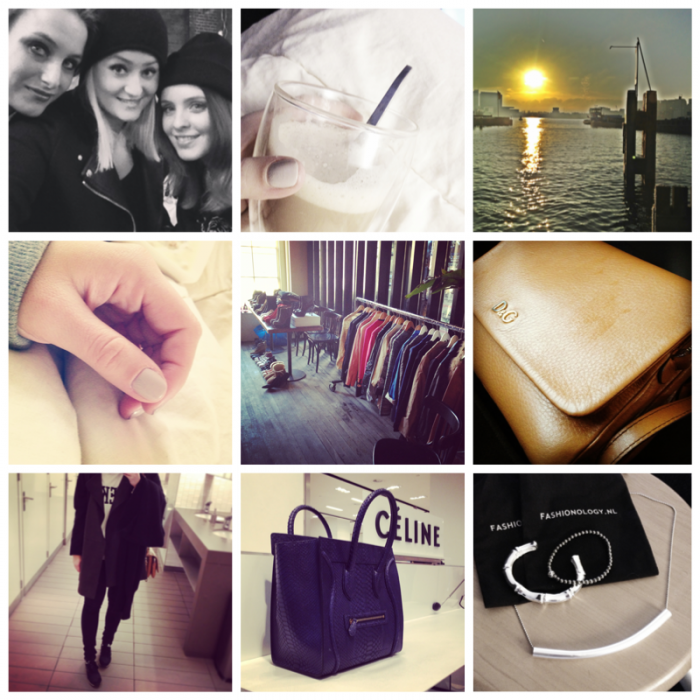 It has been a while since I posted my last insta-diary.. so here’s a new one! Past few weeks have been quite hectic, but I would not have missed them either. I attended almost every show during Amsterdam Fashionweek with Rebecca and Roos (see reports here and here), sold lots and lots of clothes and shoes at NSMBL’s closet sale (thanks girls, had an amazing afternoon! ), found my dreambag (again.. Celine.. no words..), used by D&G purse to death again, took some shameless selfies, enjoyed my man’s perfect latte’s, received this amazing Fashionology order, found a new perfect nailpolish – besides the usual black and dark-red I usually wear – from Essie and discovered Amsterdam’s beauty (yep, again) seen from a ferry. My life in short. Leuk gedaan hoor. Mooie tas ook! LeukLeuk! Ik houd van diary posts, tof om een kijkje te krijgen in iemands persoonlijke leven. Wat een mooie kleur nagellak!! Wat een onwijs leuke diary! Een celine tas staat ook heel hoog op mijn verlanglijstje! Ze zijn zoooo mooi!